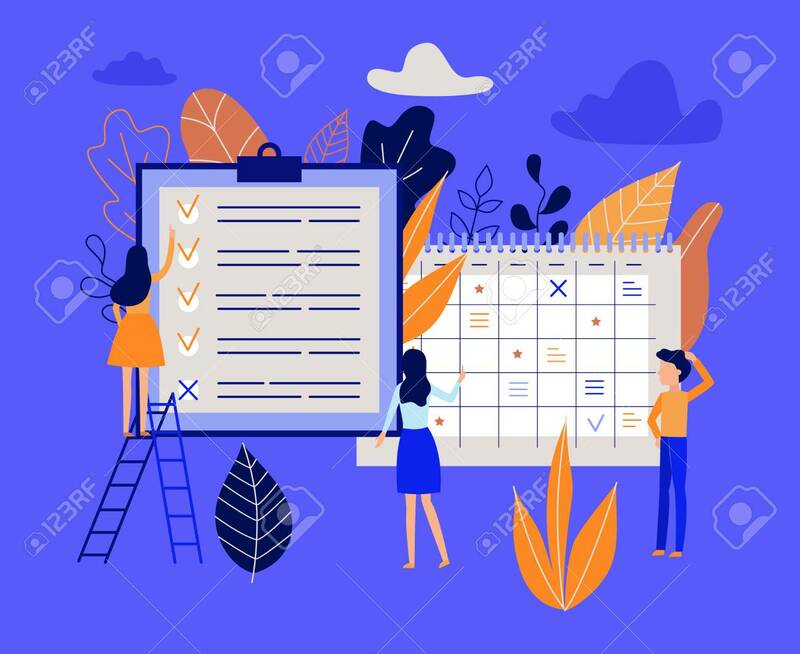 Planning And Time Management Concept With People Organizing Working Process And Noting Completed Tasks In List - Lat Characters Near Big Calendar And Planner In Isolated Vector Illustration. Royalty Free Cliparts, Vetores, E Ilustrações Stock. Image 104167006. Banco de Imagens - Planning and time management concept with people organizing working process and noting completed tasks in list - lat characters near big calendar and planner in isolated vector illustration.